Next Saturday June 15th will be a very special day in the calendar of St. Patrick’s Gaa club as Anner Park host the inaugural Mary Moroney Under 16 hurling tournament. 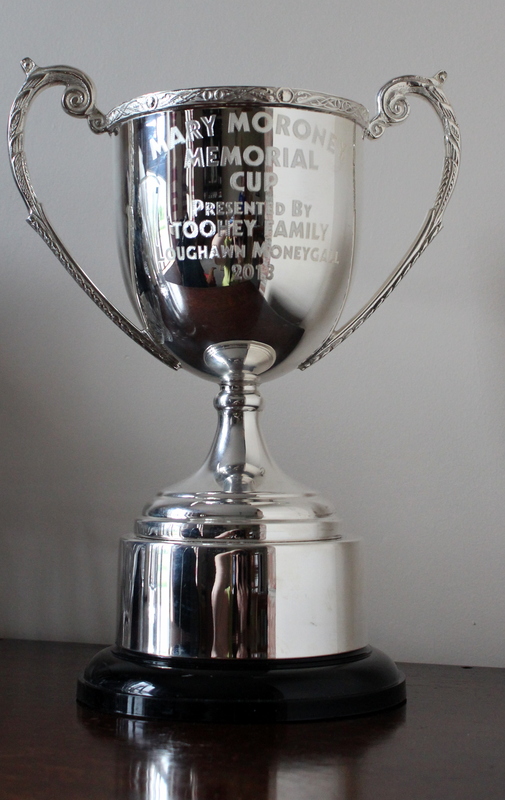 This has come about after a very kind donation of a cup by the Toohey Family of Moneygall to St. Patrick’s GAA Club in Memory of their sister the late Mary Moroney (nee Toohey) RIP. Four clubs will compete for the cup, our home team of Anner Gaels(St. Pats & Fethard combination), Moneygall (home club of the Toohey family), Silvermines and Gortnahoe. The draw has been made and in the semi finals our local team Anner Gaels will play Moneygall at 11.00am and Gortnahoe – Glengoole will play Silvermines at 12.00. The losing semi finalists will play the Shield Final at 1.30 pm and the winners will play for the Mary Moroney Cup at 2.30 pm. Paddy Ivors and Philly Keane will referee the games. Between the semi-final and finals we will have a mini-games of under 8 and 10 hurling between St. Pat’s and Fethard. All are welcome to attend for what promises to be a great day of hurling and a special occasion for the Moroney and Toohey families. Lets hope the weather is favourable and the sun shines! This entry was posted on June 12, 2013 at 2:27 pm and is filed under Hurling with tags cloneen, Drangan. You can follow any responses to this entry through the RSS 2.0 feed. You can leave a response, or trackback from your own site.